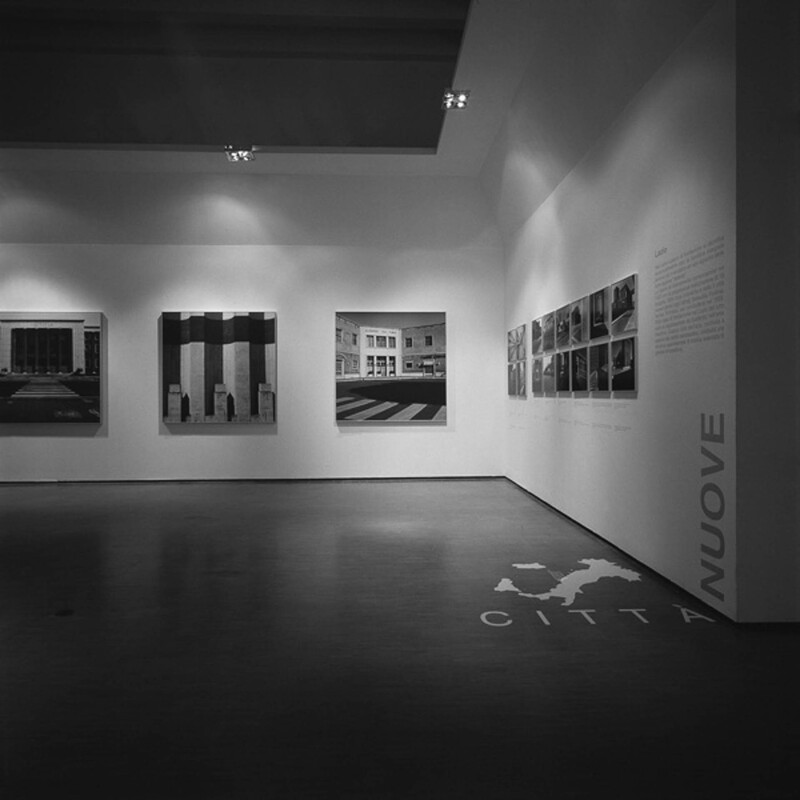 A photographic itinerary/voyage through the Italian cities founded during the Fascist period and both in Italy and her overseas territories, in order to explicate with critical rigor the moment of transition to modern Italian architecture. 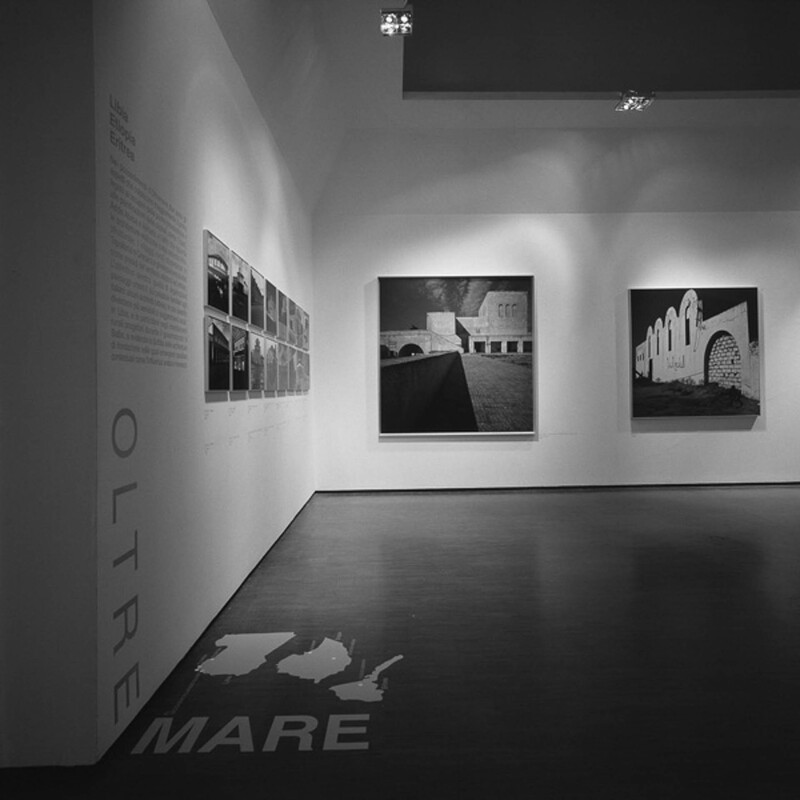 Emphasis is placed on “Borghi” and New Towns located in different Italian regions: rural towns in Puglia and Sicily, mining towns in Sardinia and Istria, industrial sites like Torviscosa in Friuli. 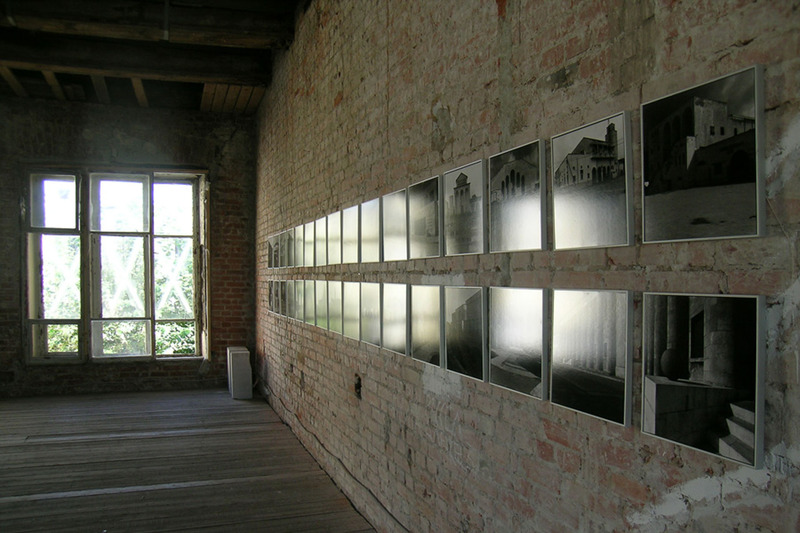 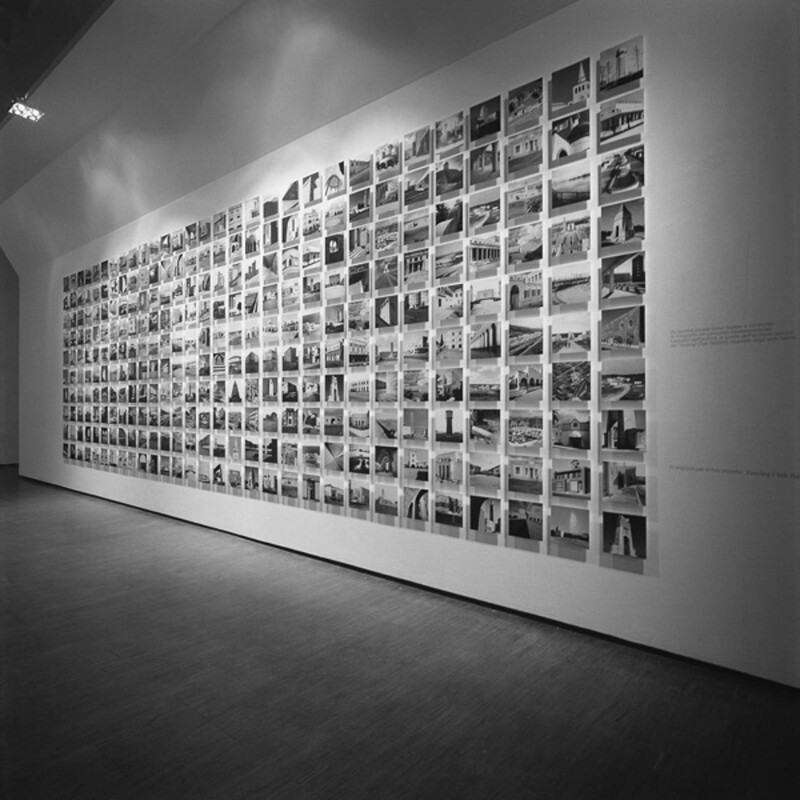 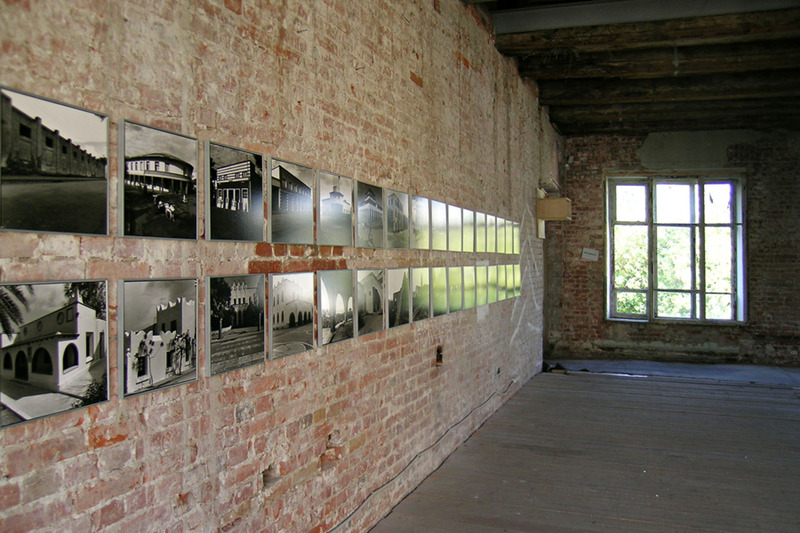 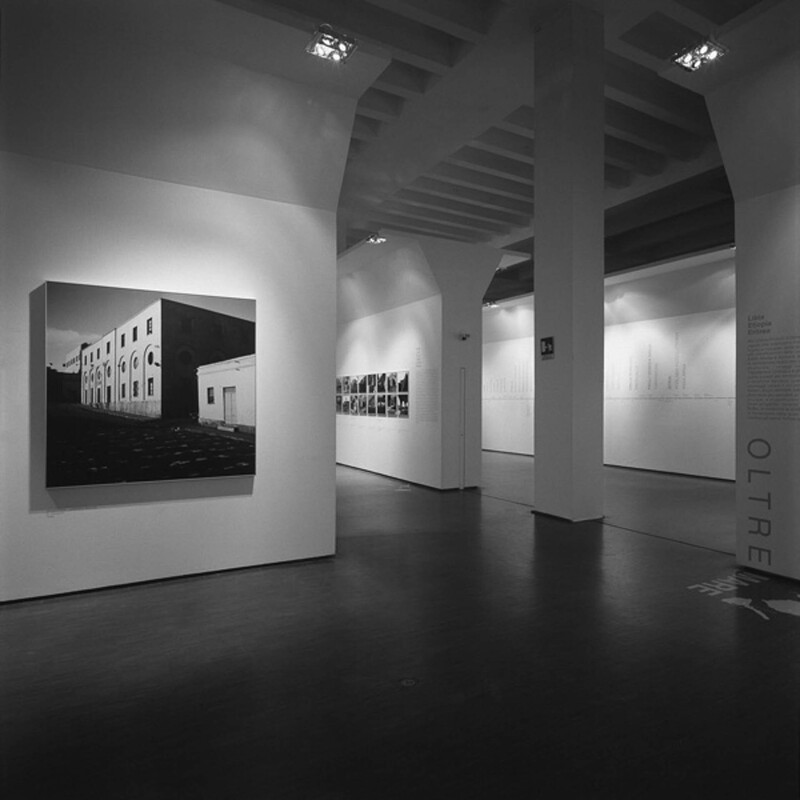 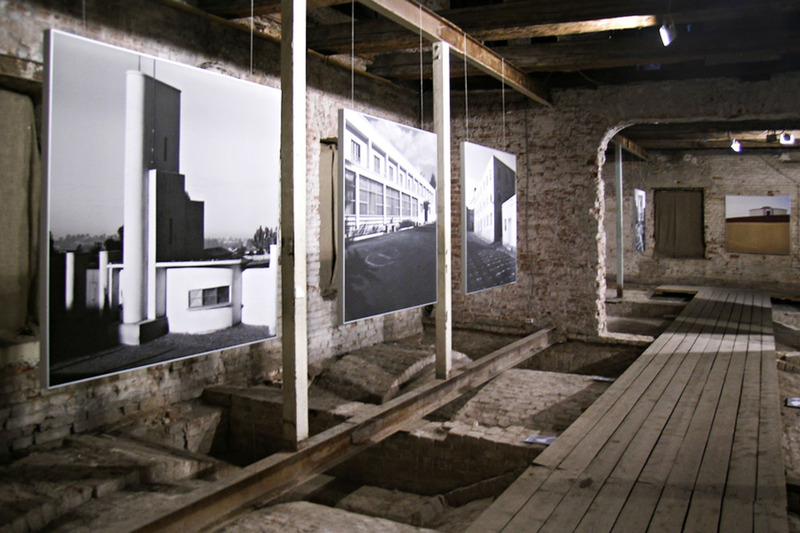 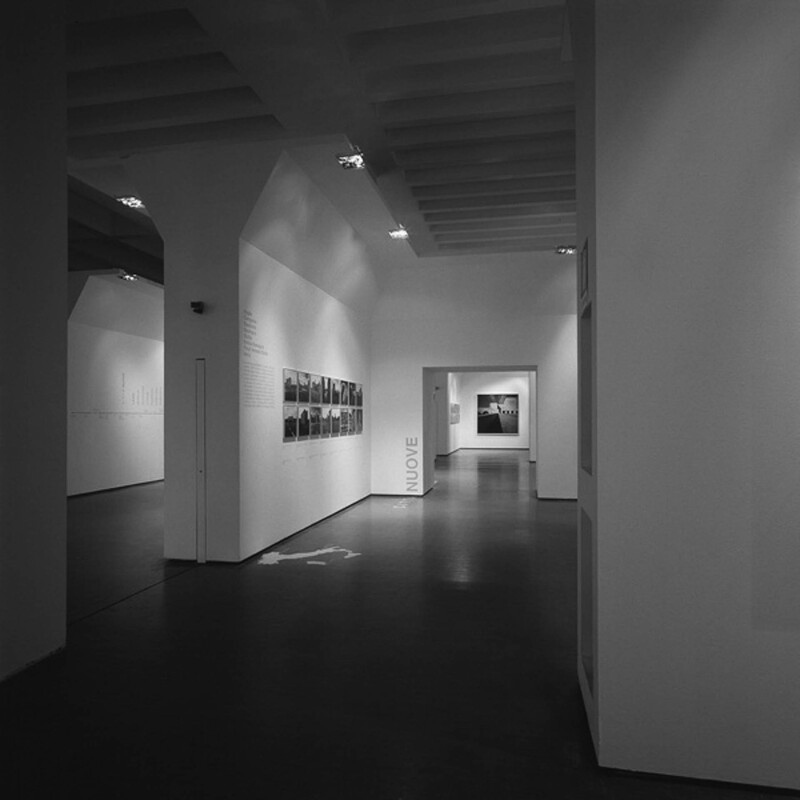 The itinerant exhibition and the graphic design project features a series of large format photographs. 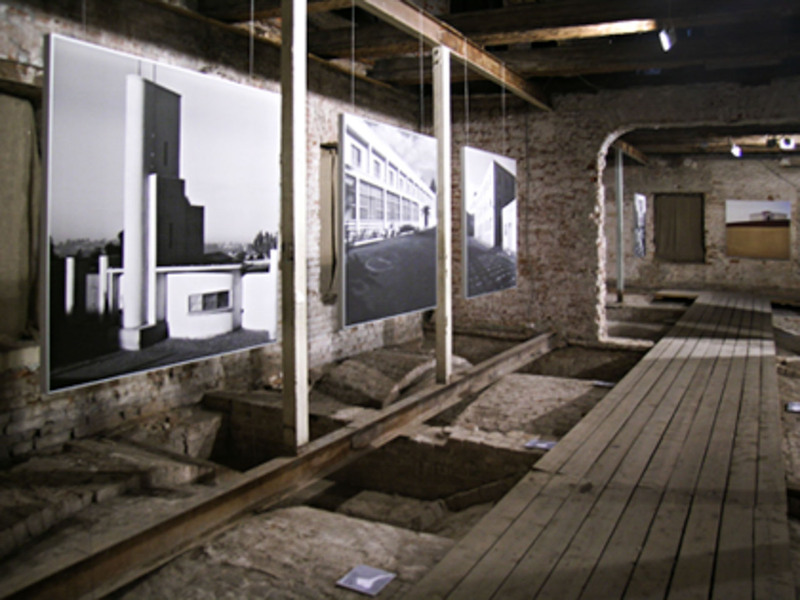 The objective is to describe the sights and architecture of this cultural and historical project. 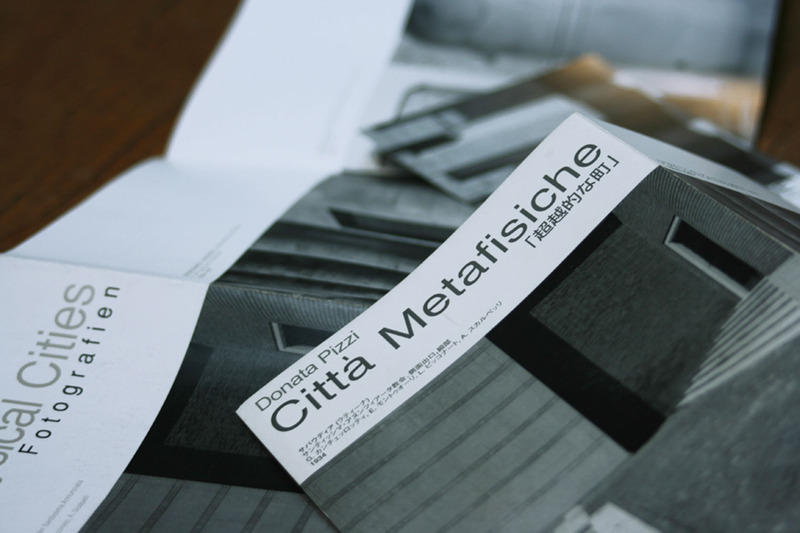 The graphic design plays on the interaction between between texts and geographical schematizations guided by a folder adaptable to the different host venues. 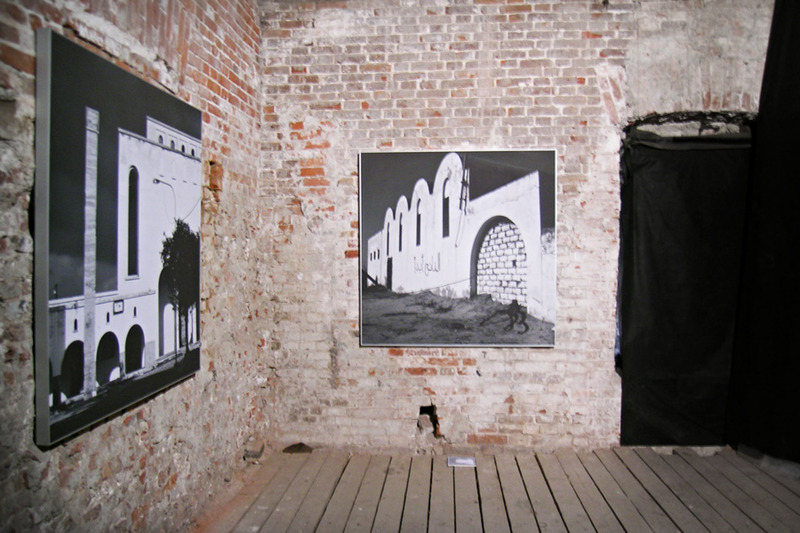 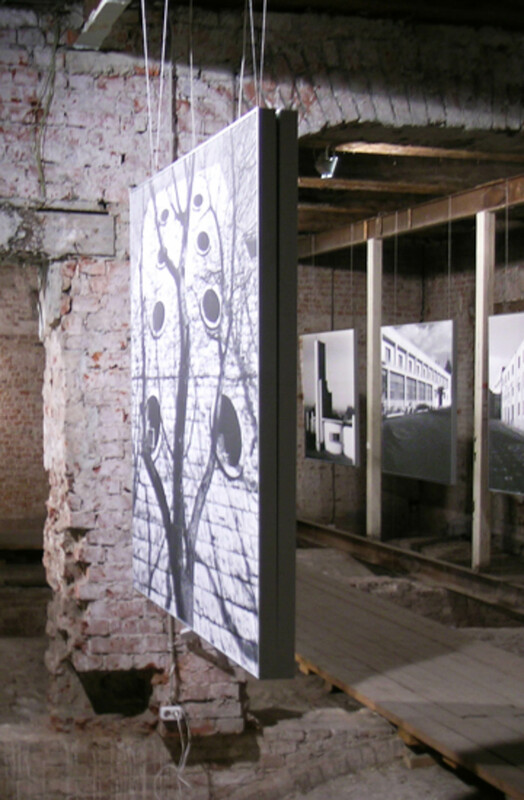 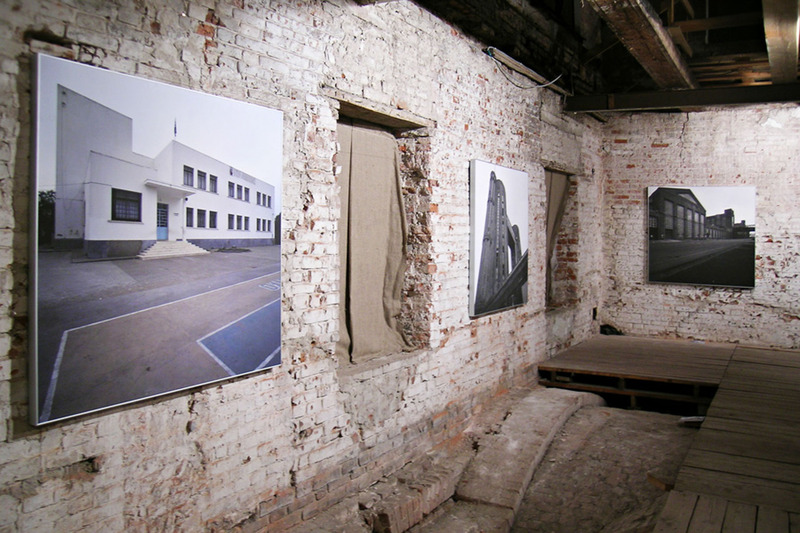 The stage of Moscow is immersed in a characteristic area of the Architecture Museum, with a completely ruined pavement, ceilings and walls with windows that show the unplastered bricks between columns and vaults. 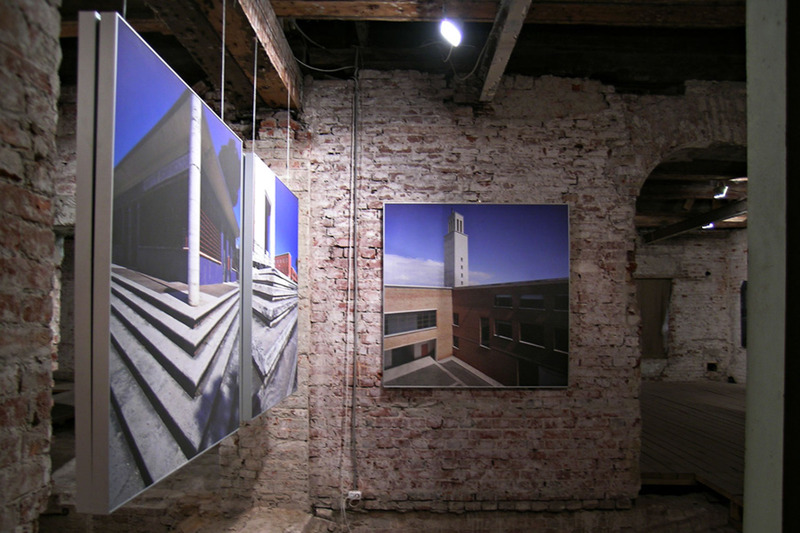 In this space the expressive power of the photographic images is enhanced, revealing the architectural conception of Donata Pizzi.